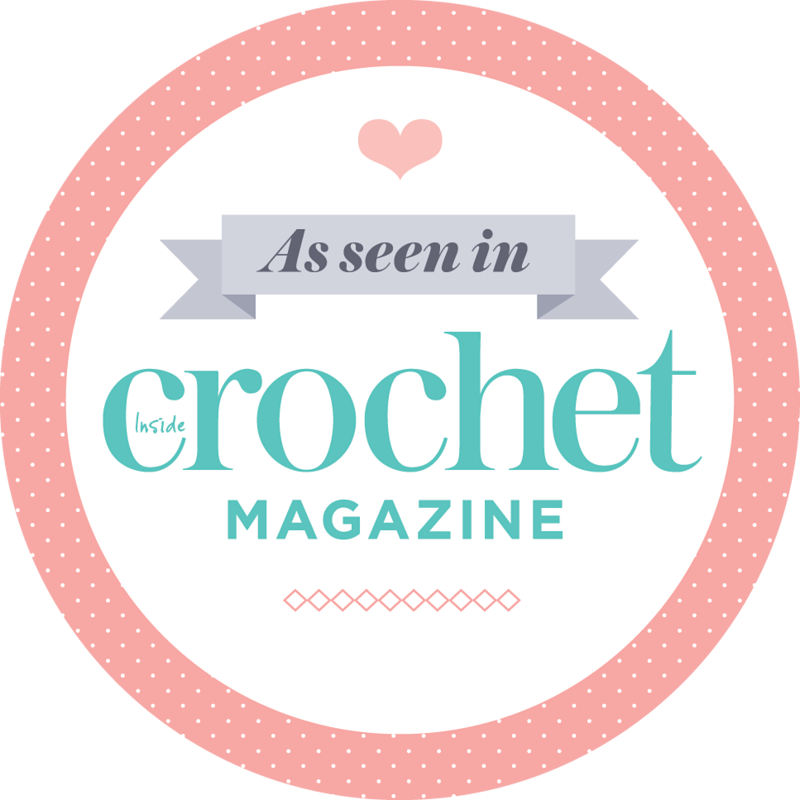 Posted by Natasja in My crochet, Pattern, Ta-daah! 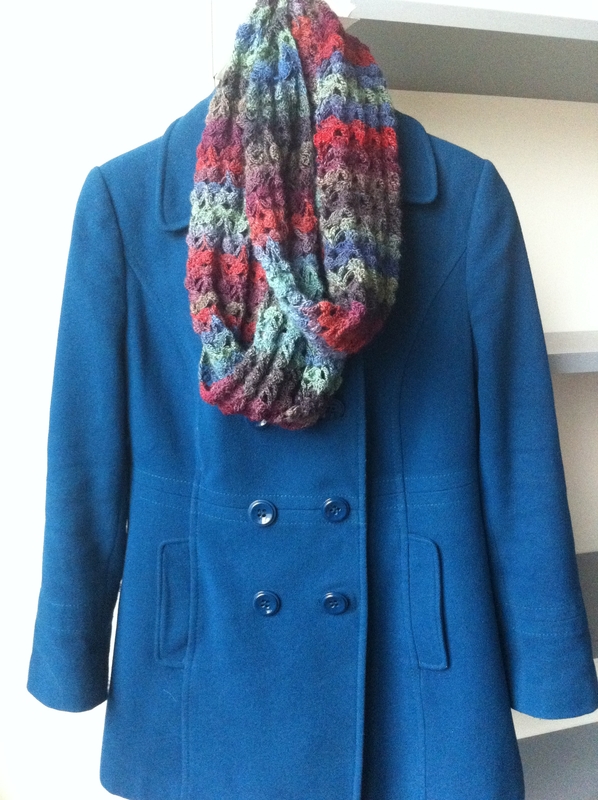 Do you remember the Infinity Scarf I made for my friend Helmien? I blogged about it here. Helmien tells me that she and Alta went to a coffee shop the day after I gave Helmien her scarf. When Helmien got up to go to the ladies, a woman followed her to the ladies to ask her where she got her scarf because she wants one too! Lovely Helmien told her about my Etsy shop and told the woman (who is a South African, visiting her daughter here in England) to Google “crocheTime” if she wants to contact me. I haven’t heard from the lady (yet), but it’s still an amazing story don’t you think?! Anyway, back to this scarf. Alta wanted a scarf purely in Drops Delight shade no. 15 because she loves red. I think the red really pops in this yarn. It doesn’t matter if you wear this scarf with a red or blue coat, your eye will always be drawn to the red – ideal for a red-lover like Alta. 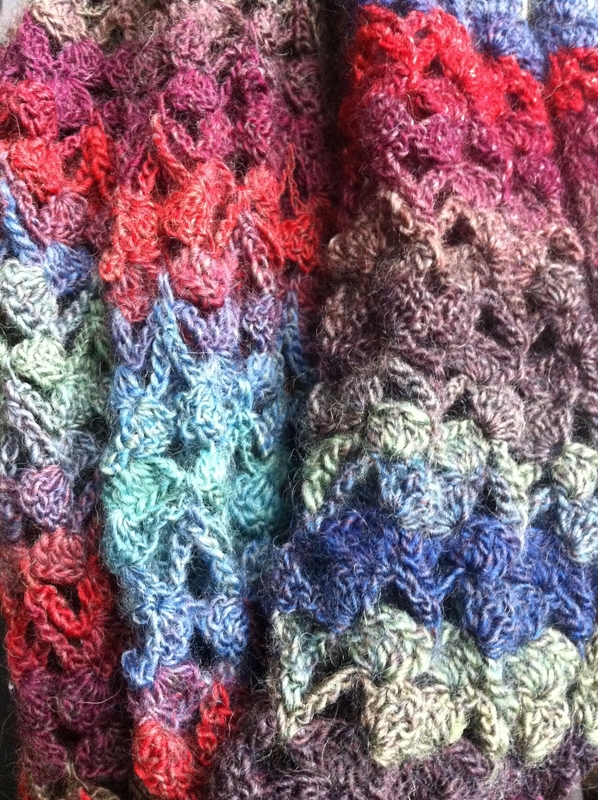 As with my and Helmien’s scarfs I also used a My Picot pattern. This one is pattern no. 2005. It’s the most intricate of the three I’ve used so far – not the type of pattern you can mindlessly hook whilst watching Desperate Housewives! I tried. I had to undo a couple of rows. I used a total of five balls of yarn and a 3.5mm hook. Next time I think I will make the scarf a bit wider with this pattern, as it’s a very open and lacey which means it needs to be quite wide so that it will scrunch up better around your neck. Don’t you just loooove this yarn? 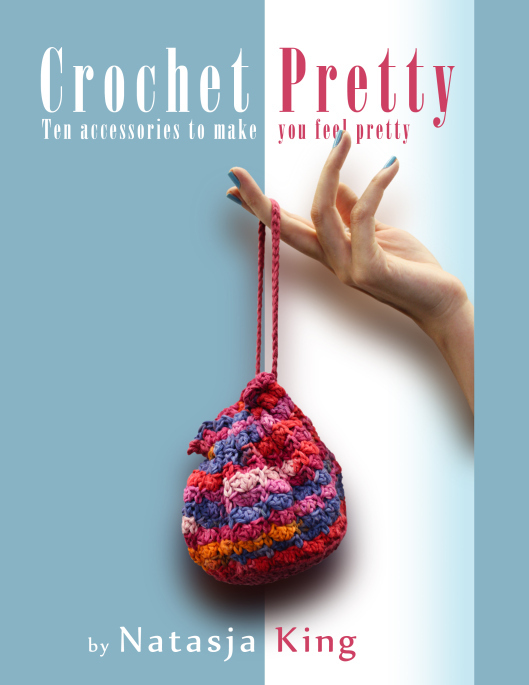 Even the most boring crochet pattern (which My Picot no. 2005 certainly wasn’t) will be a pleasure to hook because the numerous colour changes keep things interesting. For now (i.e. 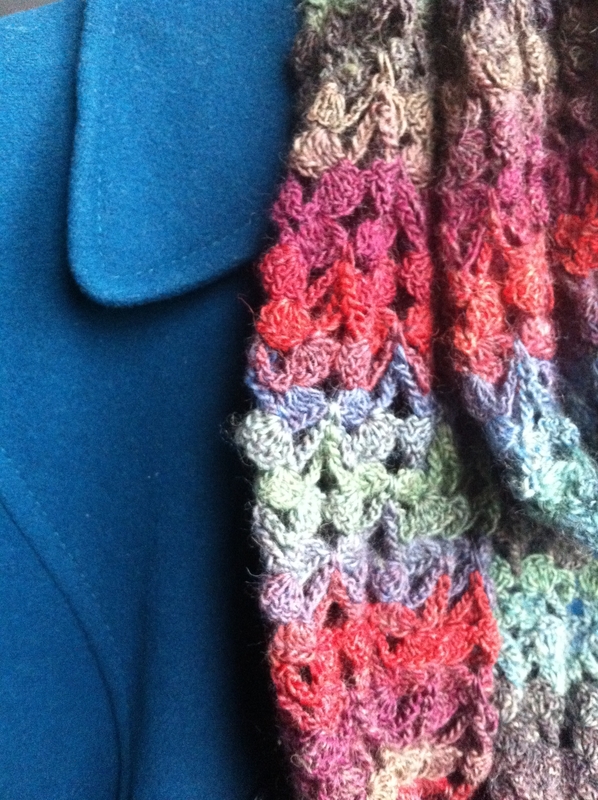 until next Winter) I’m finished with infinity scarfs in Drops Delight. The next project awaits: a special order round cushion for my biggest supporter.